Home Companies Edgar Auto Harnesses LTD.
Edgarwireharness ownner person Kavin Lee. We are a IATF16949 and UL certified wiring assembly manufacturer(E468011), also the company is an R&D and manufacturing base of extensive wire harness and connectors. Located in Dongguan, Guangdong with a plant area reaching 15,000 m2. UL Cable: various kinds of cables, electrical cable, power cable, ribbon cable , according to customers' spec. 100% electrical tests before delivery, X-ray report of injection molding samples. 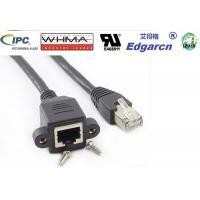 we manufacture, supply and distribute customized cable assemblies and wire harnesses for computer. electronics, industrial, automotive, telecommunication, medical, military and other high performance electronic field. we know the importance of supplying quality and competitive products to our customers, the company has hundreds of skilled operatives trains and certifies to the latest IPC standrad, and also an engineering team to offer the products with competitive pricing and short process circle time to meet your demand. Edgarwireharness devotes to provide best service and make customers get the products exactly when you need. We are willing to give you the quickest feedback and best service, just send us the engineer drawing to see what we can supply! Give us a call, We can do it all !